Near the Roche Percée campsite, Concarneau is mainly known as a fisherman’s town. 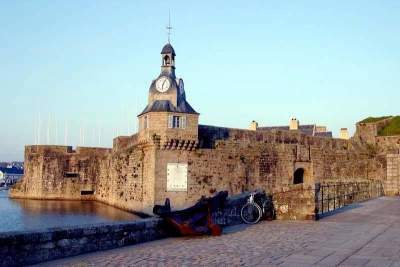 This port city is a major site to visit during a holiday in Finistère as its beauty is sure to please. The Ville Close (walled city) is a must for your holiday. You will be greeted by a series of picturesque streets containing traditional architectural beauties and shops that are rich in heritage. The light-coloured sand on the Concarneau beaches will delight swimmers.